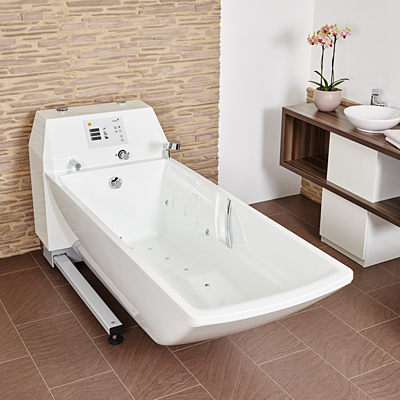 Our Avero Premium plus bath tub can be accessed underneath from three sides. 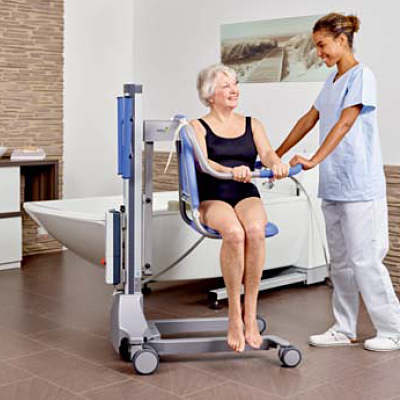 This allows bath lifts to be easily used, even in limited spaces. 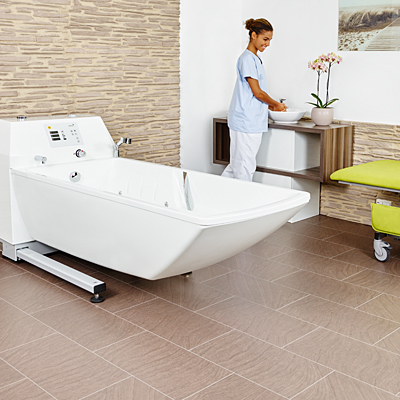 Without being attached to the wall, the bath stands securely in the room and can be optimally adapted to your care bath. 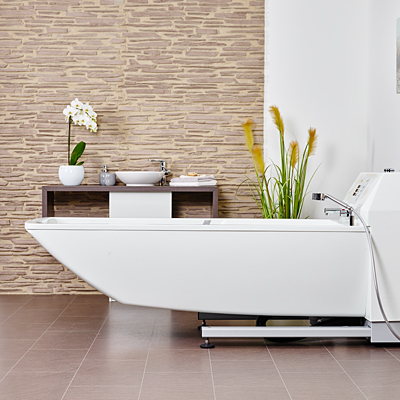 The bathtub and the foot section on the AVERO Premium plus allow the use of all modern care lifters available on the market. 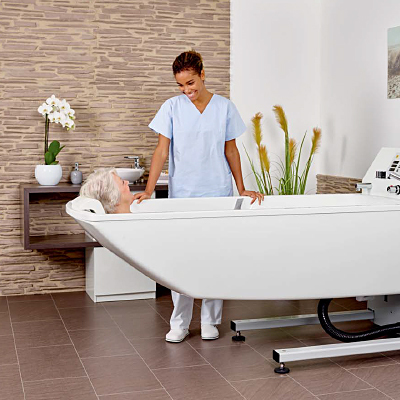 The ergonomically lowered leg section and the specially adapted back profile of the bathtub, with the shaped armrests, create a customised ergonomic inside bath form allowing the resident to enjoy a relaxing feel-good bath. 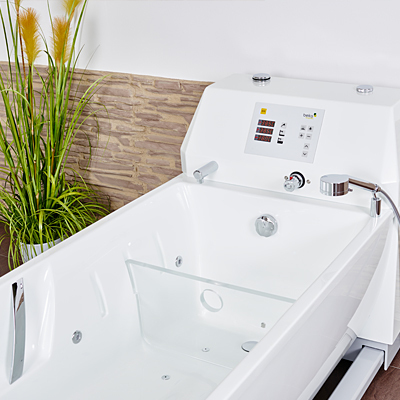 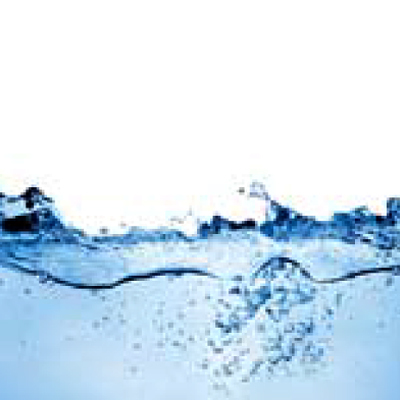 Furthermore, the seat area of the bathtub is provided with a large hygiene opening to allow the intimate area to be easily cleaned.